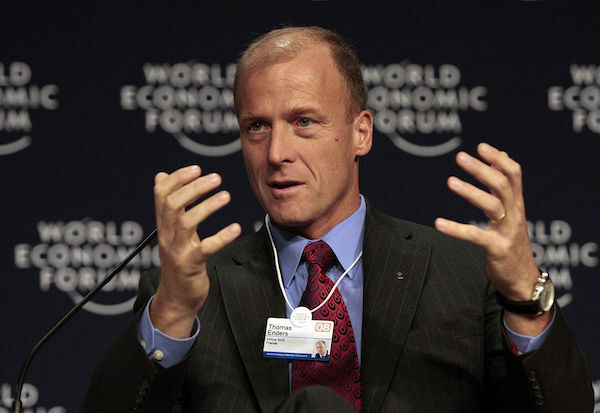 On December 15, Airbus announced that its CEO Tom Enders will be leaving the company in April 2019. Enders has been an inseparable part of the company for the last 14 years. Enders has been quoted of saying that Airbus needs more “fresh minds for the 2020s”. The CEO is leaving, as corruption investigations in Britain and France are holding Airbus in suspense. To make matters worse, there are always technical problems, most recently with engines of medium-haul jets. The military transporter A400M program is expected to bring billions in additional costs. A few weeks ago media reports had been speculating about Enders’ replacement. There had been rumors at the time that French President Emmanuel Macron wanted a change. Airbus is a political issue. Germany and France each hold an 11.1% stake in the arch-rival of the US aircraft manufacturer Boeing, Spain another 4.2%. Known by the nickname “Major Tom” Enders stands since 2012 at the head of the group, then called EADS. Previously, he was EADS Co-CEO from 2005 to 2007, and then led Airbus, the commercial aircraft subsidiary, for five years. The former Bundeswehr paratrooper converted Airbus, initiated the renaming of EADS to Airbus and streamlined the management structures. In doing so, he was always committed to reducing state influence and turning the aviation giant into a “normal company”. The occasion for the corruption investigations, which have been ongoing for some time, was a self-report by Airbus. Enders himself had his staff attuned to the possibility of “significant penalties”. The UK’s anti-corruption agency has been suspecting fraud, corruption and bribery in Airbus’ civil aviation business since last year. Also, the national financial prosecutor in France determined. In addition, there have been years of investigation into the sale of Eurofighter fighter aircraft to Austria. Airbus employs around 134,000 people worldwide, and in 2016 the group generated revenues of around 67 billion euros and 995 million euros in profits. Enders will not be the only one leaving the company. Fabrice Bregier, the company’s COO and President of the Commercial Aircraft Division, will step down even earlier – in February 2018. Bregier already has a successor – Guillaume Faury, the incumbent CEO of Airbus Helicopters. The CTO of Airbus Paul Eremenko is also leaving the company after just two years of service to join United Technologies Corporation (UTC) as Senior Vice President and Chief Technology Officer, effective January 1, 2018. In addition, John Leahy, the legendary salesman responsible for 90% of all Airbus sold, is retiring in January.